Πατήστε τη φωτογραφία και δείτε όλες τις φωτογραφίες του Casa com Piscina. Located in Paraty, just 4.1 km from Paraty Bus station, Casa com Piscina offers accommodation with an outdoor swimming pool, barbecue facilities, a garden and free WiFi. Guests staying at this holiday home have access to a fully equipped kitchen. The holiday home comes with a satellite flat-screen TV and 2 bedrooms. The air-conditioned holiday home also features a seating area and 2 bathrooms with a shower. The holiday home offers a terrace. Both a bicycle rental service and a car rental service are available at Casa com Piscina. 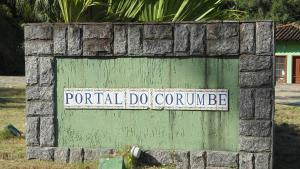 Paraty Historic Centre is 6 km from the accommodation, while Pontal Beach is 5 km from the property.